Now I know why it’s called CATalonia: it doesn’t know if it wants to walk through the door or not. Shouldn’t nobody sign no contract that they ain’t read before. I never knew Luxembourg was a world power, but now I read that the Luembourgish Army fought in the Korean War. Why do the three Baltic states have such an uneven women/men-ratio? The numbers for different age brackets give a partial answer. Everything is fine until 55 years of age, then the number of men drops off. Above 65 years old, the ratio is a stunning 2 women for 1 man. 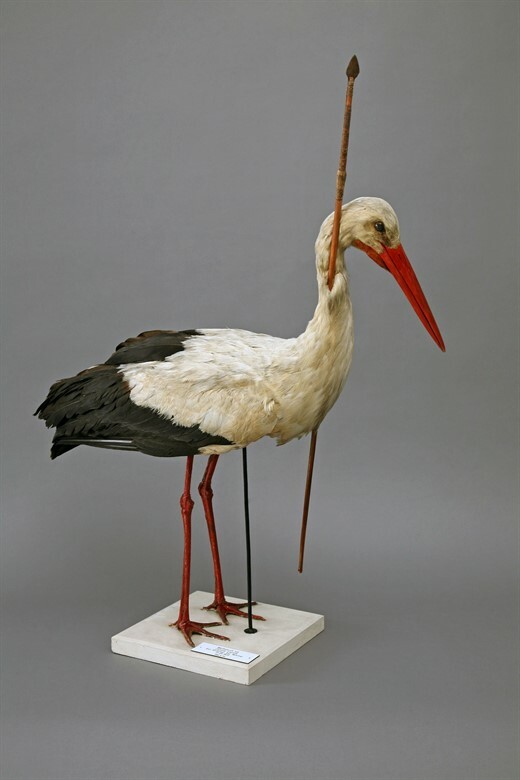 From a program about bird migration on the BBC, I learned that storks returning to Europe with obviously African arrows and spears shot through their bodies were some of the first indicators of bird migration. I didn’t think that this advice might become relevant for my readers in the USA, but apparently the time has come: How to make fun of Nazis. I noticed that you can save a lot of time if you eat only one big meal per day instead of three smaller ones. 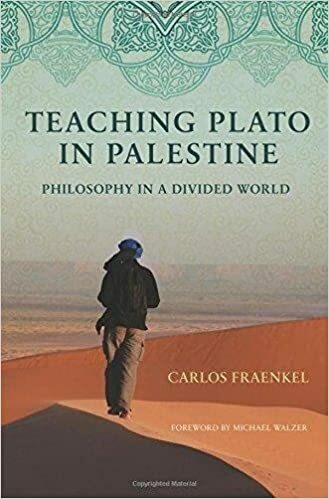 Thanks to Ana Alves for sending me Human Rights after Hitler by Dan Plesch, The Non-Existence of God by Nicholas Everitt and Teaching Plato in Palestine: Philosophy in a Divided World by Carlos Fraenkel! I give up on Venice. Each time I go there, the whole city is flooded, whatever the time of year. Thanks to the readers who alerted me to this dream job with the New York Times. But when a newspaper announces such a job, I am quite certain they already have someone in mind and only use the job advert to create additional buzz. Upon reading Paul Theroux’ The Great Railway Bazaar, I noticed that I could have saved myself the investigation to find out the longest possible train route. For he writes: “The way is clear, by rail, from Hanoi Junction to Liverpool Street Station in London,” but then makes a detour via Japan and Vladivostok. When I was young, we could still read and smoke for passport photos. After taking up studying again, I still have to get used to asking for student discount everywhere. Did you know that I inspired a verb in German? “To moser” means to constantly nag and criticize, although not without reason. Quite fitting. Every generation is entitled to its own Spanish Civil War. The #MeToo campaign is opening my eyes. Thank you! I hope it’s a bit easier for those speaking out because so many victims are coming forward (and absolutely no blame at all on those who don’t – I wouldn’t either), making it less about the individual stories, but about how widespread abusive, violent, demeaning and criminal behavior is. – It’s really shocking for me to read it from so many women whom I know, and I hope I will always keep this in mind when the subject comes up. How to scare Germans: Look people in the eye, smile and say “hello”. For Coming Out Day, I confess that I prefer books over people. Life would be much more comfortable if it was socially acceptable to go to university in jogging pants. What if Bob Mueller arrests Donald Trump in exactly the same moment as Trump fires Mueller? This entry was posted in Books, Estonia, Germany, Italy, Latvia, Law, Lithuania, Media, Politics, Spain, Statistics, Time, Travel, USA and tagged Catalonia, Donald Trump, legal advice, Luxembourg, passport, poetry, Venice. Bookmark the permalink. Re: #8. Yes, one good meal a day works for me, although my Wife often questions this with “Why don’t you eat?” and “You really should take better care of yourself!” Also on your little bio, I too would love to be a hobo but apparently enforcing that lifestyle on your 3 small children is child neglect and frowned upon. That’s a problem indeed. You’ll have to wait until they are grown up. 11.- Propuesto y archivado, solo de pensar en el efecto de dar tantas vueltas ya siento mareos. 8.- Nuestro organismo precisa un numero mayor de veces/comida/día, no importa cuanto tiempo ahorres. 11. Me ponería miedo ir ahí. Con auto o caminando. Con tu permiso me gustaría descargar las imágenes de los puntos 11 y 14. Si, claro. Estos fotos no son míos. Andreas, have you ever considered publishing a book about your adventures? I like reading your blog but I greatly prefer reading physical books. It would be great to have a hard copy compilation of 10 or 20 of your favourite explorations. I am actually happy to read this, because I also very much prefer printed books and newspapers. Even when I have access to the online sources, I still rather buy them in print. And of course I have thought about writing a book many times already. What truly prevents me from doing so is lack of focus, and everything else is probably just an excuse. But I also think that an anthology of travel stories would not find a big market because I am totally unknown. I would need more of a thread to tie all the stories together, either thematically (and “travel” is a bit too wide for that, I think) or geographically. So I would probably want to focus on one theme or one country or one long trip – like the railroad trip halfway around the world or a long hike – first. 10. Is it really? I always wanted to visit, and heard that the flooding only occurs in winter months usually. It’s really all year round. All the streets are flooded, always! Whenever I was there, I never saw anyone driving. It’s like people in Venice are already used to it and do everything by boat – https://andreasmoser.blog/2015/09/15/venice-by-boat/ . But it’ still a beautiful and interesting city! Good one. I meant acqua alta. Yes that only happens every winter, I believe. But on the other hand, winter is the best time to visit Venice because there are far fewer tourists. I was in February and it was bitter cold, foggy, but not crowded at all. A beautiful time to visit. And even when you are in Venice at a time of unusually high water, it only lasts for a few hours during the high tide – see forecast: http://www.comune.venezia.it/it/content/centro-previsioni-e-segnalazioni-maree – , so you can still enjoy your visit. When the water is too high, you simply go to a higher floor to eat cake and read a book for a few hours.